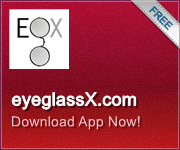 New Transitions Lenses 7- Progressive Digital lenses (TRIVEX - Super Sharp). Progressive (no-line bifocal) AuthenticTransitions 7 lenses are HD digital distortion-freeform technology. These photochromic, light adaptive lenses with Chromea7 technology are the latest from Transitions Lenses. Lenses are clear indoors & dark outside. Block 100% of harmful UV light. All lenses include free scratch guard, and perfect mounting into your frame. Every job is completed and verified by licensed opticians at our USA lab. Compared to: $589.00 retail. Don't forget anti-reflection (AR) coating treatment...just add to Cart before Check-out. *Remember, ordering lenses is easy. If your frames don't have old prescription lenses...Just email us a "selfie" photo with your frames on (see your order confirmation or email). Prescriptions with high cylinder, greater than 2.00 may incur an added charge. *We offer a worry-free redo if needed. Our Price: $259.95 ( 60% OFF ) *Spring Sale!